"The combined company would generate significant savings, and we’re committed to investing savings in lower prices for all customers. We’ll also use the savings to continue to invest in our people, technology and customer service." FRAMINGHAM, Mass. 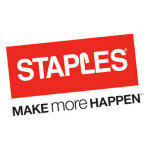 & BOCA RATON, Fla.--(BUSINESS WIRE)--Staples, Inc. (Nasdaq: SPLS) and Office Depot, Inc. (Nasdaq: ODP) today announced that they intend to contest the U.S. Federal Trade Commission’s decision to challenge the merger of the two companies. The companies were informed of the FTC’s decision earlier today. The proposed acquisition would benefit customers, employees and shareholders, and the companies look forward to a full, impartial judicial review of the competitive effects of the transaction. Staples and Office Depot will demonstrate that the FTC’s decision is based on a flawed analysis and misunderstanding of the intense competitive landscape in which Staples and Office Depot compete. In fact, the FTC’s decision to contest the merger contradicts its own unanimous ruling in the Office Depot – OfficeMax merger in 2013, in which the commission declared the market highly competitive. At the time, the FTC ruled that Staples and Office Depot face “strong competition” from “a host” of competitors. The office products landscape has grown even more competitive since then. The acquisition is expected to generate more than $1 billion of net synergies over the three-year integration period as the combined company aggressively reduces global expenses and optimizes its retail footprint. 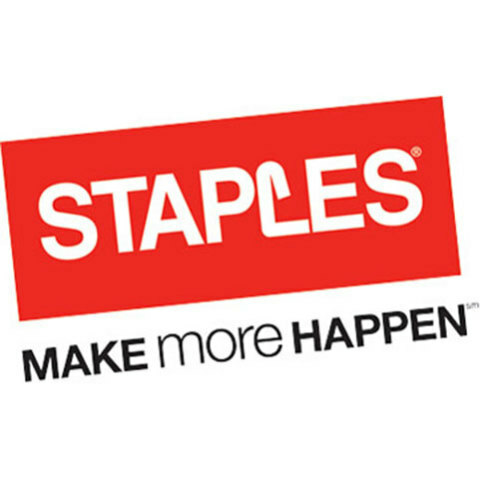 The savings will dramatically accelerate Staples’ strategic reinvention, which is focused on driving growth in delivery businesses and in categories beyond office supplies. The companies intend to show that the FTC underestimates the disruptive effect of new competitors in the digital economy and ignores the vigorous competition Staples faces from numerous competitors, including office products dealers, manufacturers selling office supplies direct to business customers, dealers in adjacent categories, cooperatives of regional players, Internet resellers, big-box chains and club stores. Even though Staples and Office Depot disagree with the FTC’s interpretation of the competitive landscape, the companies proposed divesting more than $500 million in commercial business in an effort to complete the transaction and unlock tremendous value for shareholders and customers. The FTC rejected this solution, even though it would strengthen a national competitor, further enable a host of independent office products dealers, and help minority and woman-owned businesses compete for national commercial customers.